Bathgate is situated centrally between Edinburgh and Glasgow with fast motorway and rail links enabling you to get to their City centres within 30 minutes. The new Bathgate Railway Station is less than five minutes walk from the Business Centre. Bathgate is a thriving, developing historical town. 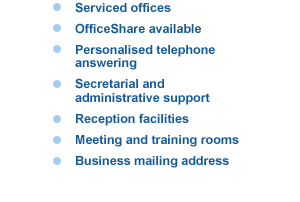 The Business Centre is located in the town centre close to all of the local amenities. There is extensive free parking throughout the town which is well serviced with Shops, Coffee Shops, Restaurants, Banks and other Local Businesses. Bathgate has a famous Golf Club and many recreational facilities including a brand new Swimming Pool within a large Sports Centre which offers many different sporting activities for all. There is a wide range of Hotels and Guest Houses. Bathgate is proud to be Scotland’s first Business Improvement District and Enterprising Bathgate and West Lothian Council are working in Partnership to make Bathgate a vibrant town centre and the place to do business.